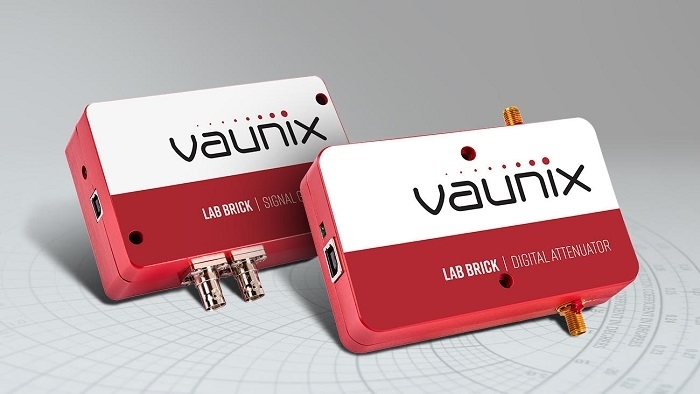 Vaunix has expanded its lineup of self-programmable wireless ATE devices in response to customer demand. 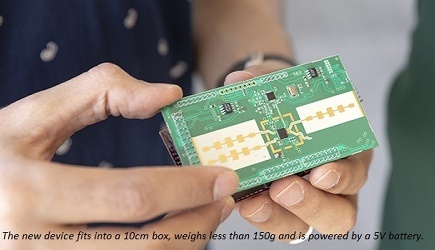 They have built an impressive library of over 60 products called Lab Bricks, that are revolutionizing the way engineers are looking at wireless ATE (Automated Test Equipment) approaches. In ATE systems, an expensive instrument controller is often necessary to handle a variety of complex interoperability tasks. However, when you’re controlling just a few devices to accomplish a measurement task (for example), this piece of equipment is often overkill. But there still needs to be a way to control, configure, and run routines using the components. And that’s where Vaunix’ s simple yet effective Lab Bricks and Windows-based Lab Brick software are becoming a go-to solution for today’s fast-moving ATE system engineers - particularly those chasing 5G and advanced networking such as MIMO. Once you connect a Lab Brick to a laptop or other computer, the software automatically identifies it, loads the parameters (attenuation, phase, power, modulation type, etc.) stored in the device (or devices), and lets you change settings on the fly to see what effect they have on the device under test (DUT). It’s a great help in evaluating an amplifier on an evaluation board, for example. You can control as many signal generators, attenuators, phase shifters, and switches as you choose, which thanks to USB, is very simple. You switch between them, increase or reduce values, configure test sequences (including all key parameters), and much more. Lab Bricks’ unique and adjustable feature set is made available via the USB port of your PC, which is also how they derive power. Features include frequency sweep triggering; pulse modulation; frequency stepping; high switching speed; and fixed/swept attenuation ramps, to name a few. The LDA-5018V is a bi-directional, 50-ohm digital attenuator that provides calibrated attenuation from 50 MHz to 18 GHz with an exceptionally precise step size of just 0.1 dB while offering typical accuracy of <1.0 dB over 50 dB of control range. Price is $899.00. The LDA-133 is Vaunix’ s response to customer requests for a wide bandwidth 50-ohm attenuator. It provides fast attenuation changes from 10 MHz to 13 GHz with a step size of 0.5 dB and 63 dB of control range. Price is $649.00. A versatile 4-port programmable attenuator comes in the form of model LDA-602Q. It is capable of bidirectional fixed attenuation, swept attenuation ramps, and fading profiles, and provides up to 120 dB of control range with a 0.1 dB step size from 200 MHz to 6 GHz. A switching speed of 15 microseconds is typical. Price is $2,900. Model LMS-183DX is a programmable signal generator offering a power control range of 80 dB, +10 to -70 dBm from 6 to 13 GHz, and a power control range of 65 dB, +10 to -55 dBm from 13 to 18 GHz. Price is $3,499.00. Featuring excellent harmonic performance of -40 dBc, the model LMS-802DX signal generator has a power control range of 80 dB, +10 dBm to -70 dBm (exceeding the range of its predecessors by 25 dBm). The unit operates in the 2 to 8 GHz frequency range with a resolution of 100 Hz and a fast 100-microsecond switching time. Price is $3,249.00. Additional new products include single pole, double throw, and a single pole, four throw switches, 2-4 and 4-8 GHz phase shifters, and a 0.5 MHz to 270 MHz signal generator with a 100-microsecond switching time. 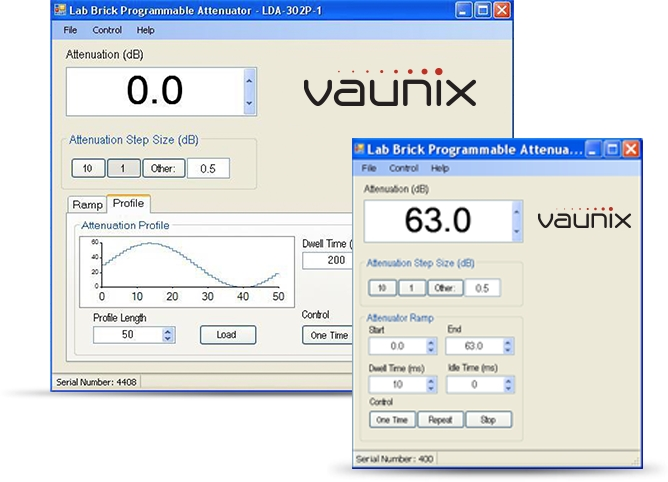 Lab Bricks can also be customized or built-to-spec for unique customer applications.